Period of Khilafat: April 22nd 2003 to present. Great Grandson of the Promised Messiah, Grandson of Hazrat Mirza Sharif Ahmad (son of Promised Messiah) and maternal grandson of second Khalifa. 1977, devoted life and was sent to Ghana under Nusrat Jahan scheme. July 26th 2003, established Tahir Foundation, for publishing speeches and sermons of Fourth Khalifa. 2003 – Huzoor gave a series of speeches on ‘Conditions of Bai’at and responsibilities of an Ahmadi’ and it was published in book form in Urdu on 2004 and English in 2005. August 1st 2004, encouraged members to join the institution ofWasiyyat. 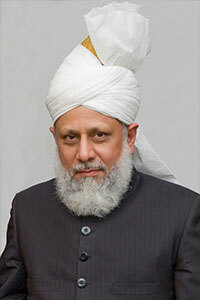 Wanted at least 50,000 people to have joined before the 100 years of Khilafat in 2008. June 3rd 2005, started the Tahir Heart Institute Project and appealed to Ahmadi Doctors to build a Heart Hospital in Rabwah. May 27th 2005 appealed for special prayers and worship for 100 years of Khilafat. 2006 – The book ‘The Blessed Model of the Holy Prophet and the Caricatures’ the Friday Sermons delivered by Huzoor was published. 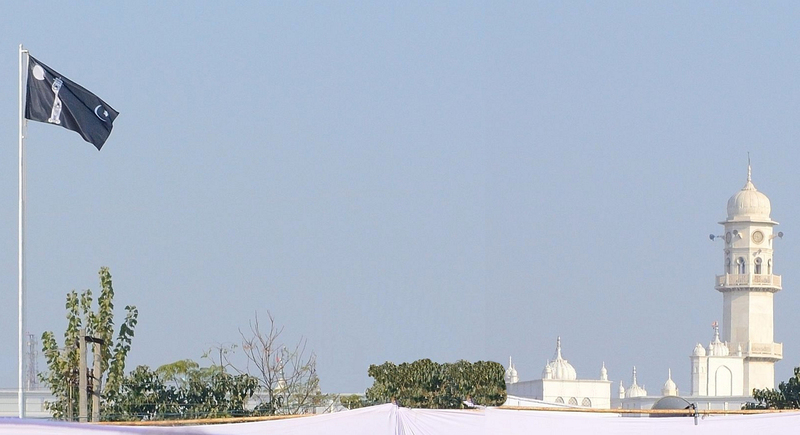 2008 – The book ‘Gateway to the Second Century of Khilafat-e-Ahmadiyya’ the opening and closing addresses of Huzoor at the 2007 Jalsa Salana UK was published. February 27th 2009, appealed to all members to pray for Pakistan. 2012 – The book ‘World Crisis and the Pathway to Peace’ a compilation of speeches and letters of Huzoor was published. 2014 – ‘The Conference of World Religions’ was held on 11 February 2014 at the Guildhall, London. Huzoor made an address and the book of the event was published in August 2014.